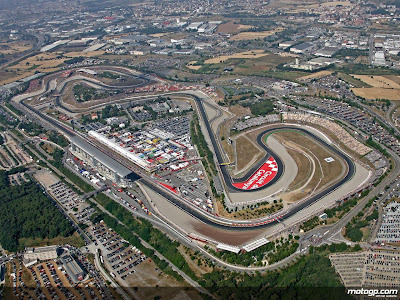 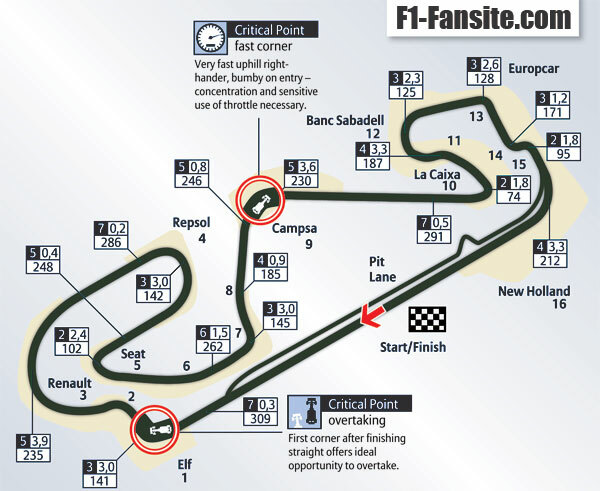 Circuit de Catalunya was built in 1991.
with a number of corners on this circuit is 13. 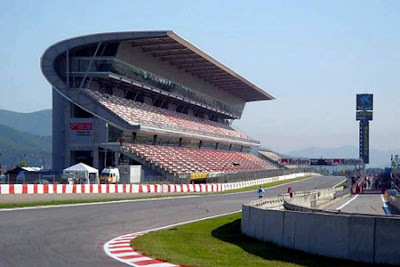 Has a length of 4.627 km.The chicane which was put in the penultimate turn for Formula 1 does not play a part in the track layout for Moto GP, and there are at least five points on the track (turns 1,2,4,10,14) where riders are known to overtake. As in Formula 1, turn one is arguably the most popular place for overtaking. The circuit is not known to produce copious amounts of overtaking, despite the long straights.